Q: What kind of equipment was Truck 127. Q: (my mother kept asking me this). Why didn't the ER nurses (with the exception of Julie London) ever respond to the doctors when told to run tests, draw blood, etc.? A: Because the actors were working as extras. If they said "Yes, doctor", they would have had to work on their SAG (Screen Actors Guild) card, instead of their SEG (Screen Extras Guild) card, and would have to a) be paid more money, and b) be paid residuals. Q: Why did they hire a real fireman to play the engineer? A: Because Bob Cinader, the executive producer, said "I'm not letting any @###!! ** actor drive a hundred-thousand-dollar fire engine. Q: What's the name of the metal gizmo all the firemen wore on the front of their turnout coats? A: A forcible entry tool. Q: Where did Robert Cinader, the creator of "Emergency", get the names Gage and DeSoto? Also Stanley, for that matter? A: They are names of streets in Los Angeles. Q: In "Details" (I think), Chet asks the guys a riddle. 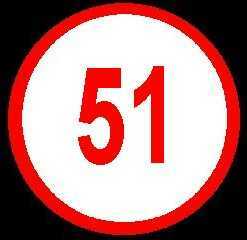 "You have two coins totaling 55 cents; one of them is not a nickel. What are the two coins?" What is the answer to the riddle? Q: In "Firehouse Four", who attempted to teach the actors to sing barbershop harmony (very badly)? A: Rudolph Friml, son of the great operetta composer. Here's something I bet you haven't thought of. 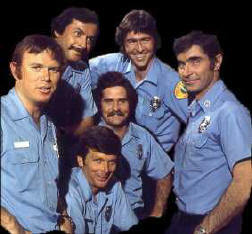 During the time "Emergency" was on the air, for several years it was on opposite "All in the Family", which always got huge ratings. 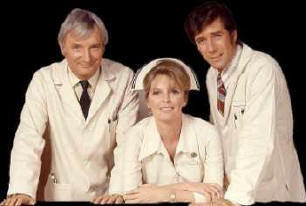 "Emergency" held its own, but ABC, during those years, was one of the all-time death slots in the history of television. It would be interesting to compile a list of all the shows that died at 8pm Saturday nights on ABC. I can think of a few: "The Partridge Family", "Alias Smith and Jones", some new sitcom starring Larry Hagman, "Kung Fu," etc. Sometimes they counter-programmed "All in the Family," but they also counter-programmed "Emergency" (as with the Partridge Family). It seems that Emergency! was responsible for the sale of more second TV sets than any other show in the history of television. Apparently, the adults wanted to watch All in the Family and the kids wanted to watch Johnny & Roy. Return to the trivia mainpage.